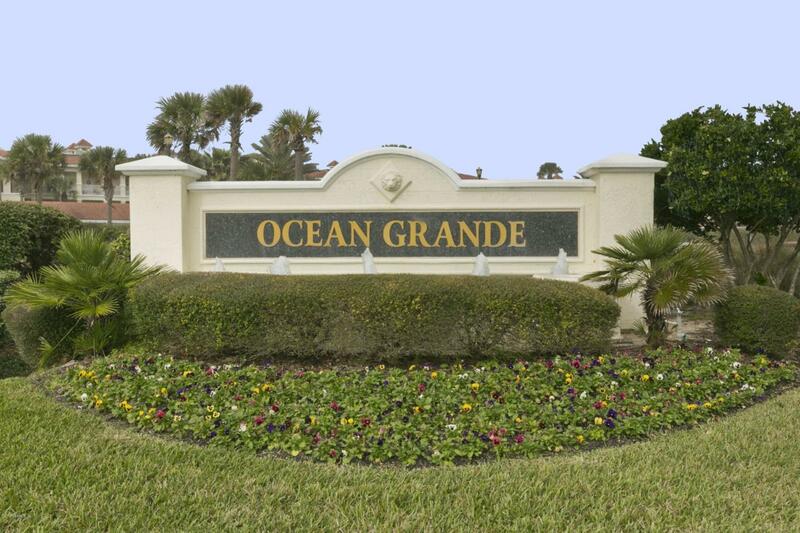 The MOST desirable unobstructed View in all of Ocean Grande can be yours! 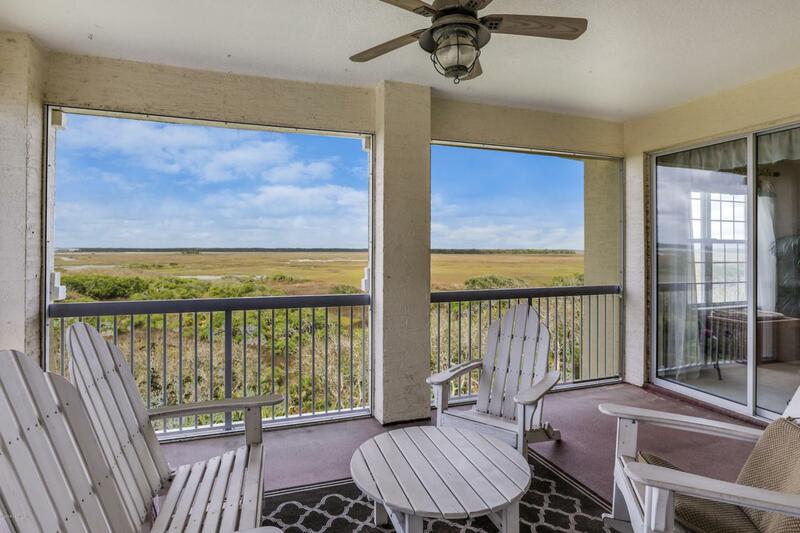 Looking out across the expansive views of the conservation preserve to the intracoastal waterway. This is the unit you have been waiting to buy!Complete with 3 bedrooms all ensuite, on the top floor (penthouse) with a quick elevator ride up and convenient short walk to your front door. Enjoy your fully equipped kitchen including granite counters, breakfast nook which opens to spacious living room with gas fireplace, high ceilings, crown molding, pendent lighting, black appliances, prep island & pantry. All bathrooms with comfort height vanities. Walk In closet in Master suite, plenty of storage in closets including hall closet. 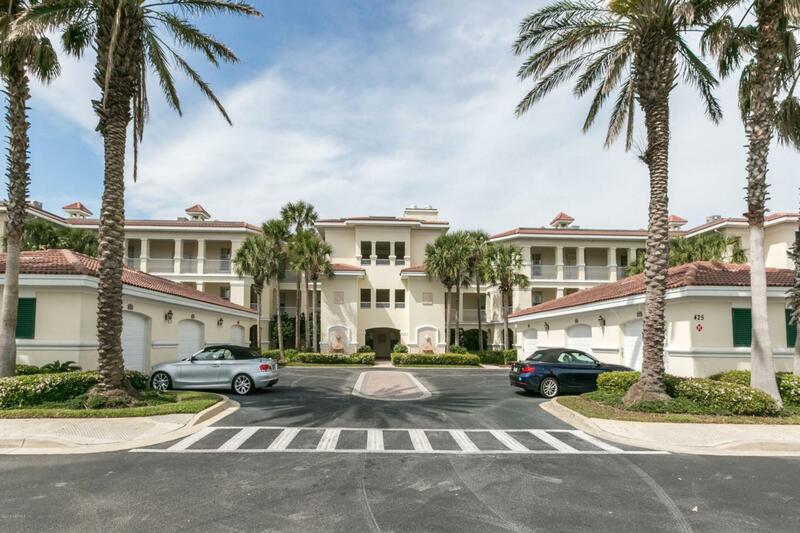 Comes with detached 1 car garage & guest parking is directly opposite building entryAcross the street from Ocean Grande Condos is Serenata Beach Club which requires a separate membership to access the beach. Your condo fee includes maintenance of common grounds, tennis/pickle ball courts, a club house, security gate, building maintenance, trash pick up, pest control. Your extra costs include electric, cable and water/sewer. Two pets are allowed weighing under 75 lbs each. Other Rules and Regulations are available upon request. 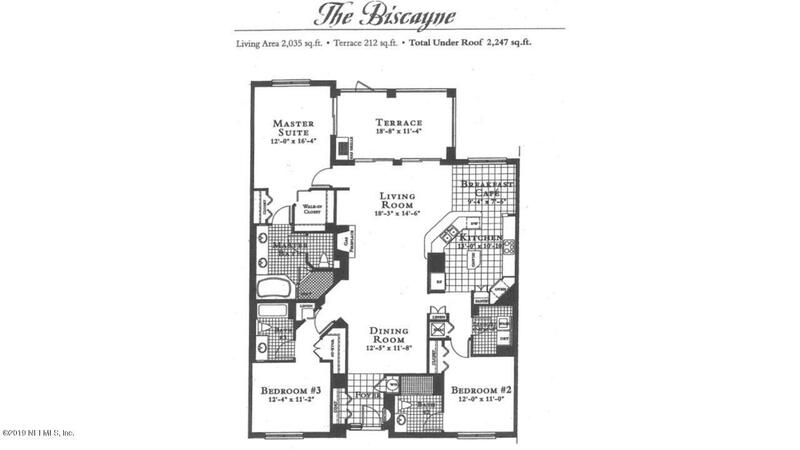 See Condominium Documents. Rental of units is allowed Leases for a period of less than 60 days, and any leases in excess of two rentals per year require the prior written consent of the Board. Preferred Membership Initiation Fee pricing for the Gate Hospitality Clubs including Ponte Vedra Inn & Club, The Lodge & Club, Epping Forest Yacht Club or The River Club is available to the Purchaser(s) of this listing; certain restrictions may apply.